Yoga is not about changing our bodies to look like a model on the cover of Yoga Journal magazine. It’s about shifting the importance from external appearance to those qualities that make us unique and amazing. Yet virtually every image promoting yoga practices feature thin, white, flexible, acrobatic, beautiful, serene-looking people in expensive yoga clothes doing very difficult poses in amazing places all over the world. In a culture where millions of females and an increasing number of males suffer from eating disorders, this type of marketing is not sustainable. 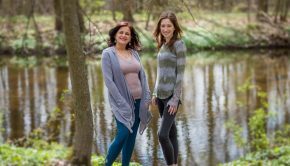 Jen Kraft, E-YRT, and Melanie Struble, LCSW, LCADC are the co-founders of Body Positive Works, a wellness center in Saddle River, New Jersey that offers programs, classes and services to both help prevent and aid in the recovery from eating disorders and related issues. In yoga, the body is viewed as a temporary home for our permanent souls. Yoga can reestablish our relationship with the body. Babies are in tune with what they want and are never afraid to speak up. They cry when they are hungry and stop eating as soon as they are full. They sleep when they are tired and wake up when they have rested. 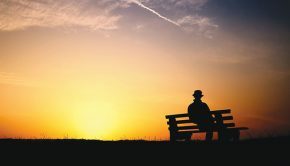 As we age, this connection to the body’s internal mechanisms gets off track and the natural signals for hunger, fatigue and basic survival become muted or are ignored. Choose a yoga class carefully. There are many different types of yoga and many studios, so choosing the right place can be overwhelming, especially for those with eating disorders or body image issues. 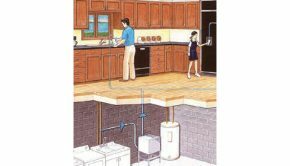 It is important to choose a studio that will enhance their recovery and support the process of reconnecting with their own body. When they opened Body Positive Works, Kraft and Struble had a very clear vision in mind for the yoga studio within their healing center. There are no mirrors in the studio, and if they are comfortable enough, students are encouraged to close their eyes when they practice to reduce the inclination to look around and compare themselves with others. Their classes are not based on levels, and their teachers customize each practice to meet individual needs. “When a student comes in and says that they are ‘good’ or ‘bad’ at yoga, I say there is no such thing. Yoga is a practice—never perfected and always changing, just like our bodies and our lives,” Kraft says. Body Positive Works is located at 96 E. Allendale Rd., in Saddle River. For more information, call 201-708-8448, email Info@BodyPositiveWorks.com or visit BodyPositiveWorks.com. 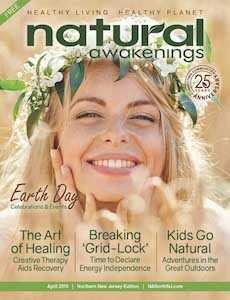 Sandra Powers is a contributing writer for Natural Awakenings magazine.